We have traditionally accepted concrete based on measurements like strength, slump, and air. These measurements, in their current form, have very limited correlation to future performance. Recent developments in concrete testing technologies have yielded methods that are better predictors of long-term performance. It is the goal of the PEM transportation pooled fund project to bring these newer technologies to state agencies and to assist states in adoption of the test methods that will help them deliver on the promise of concrete durability. The Federal Highway Administration (FHWA), sixteen state departments of transportation, and four national associations representing the concrete paving industry have come together to fund this project. It is a coalition of federal, state, and industry leaders dedicated to maximizing pavement performance. The PEM project is broken down into the three following tasks. This task is intended to provide support to study participants with implementation of performance engineered paving mixtures within their states. Implementation will include education, training, and project-level support. This task will provide field performance data for use in making decisions on specification limits in the areas of salt damage, transport, and freeze-thaw damage. This task will build upon the foundational work done to date in measurement technologies to design and control concrete pavement mixtures around key engineering properties. It is planned that work under this task will address improved testing methods for improved accuracy and reduced cost. 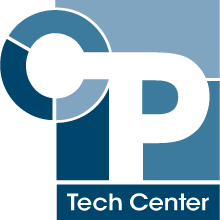 More information on Performance Engineered Mixtures can be found in the following National CP Tech Center MAP/Tech briefs and PDF presentation. These test methods that fall under the PEM umbrella and may be new to many agencies, contractors, testing labs, and consultants. State transportation agencies that are participating in the pooled fund for this project will have a spreadsheet to assist in data entry. The form is currently placed here for review by participating state agencies. Please send review comments to Gordon Smith at glsmith@iastate.edu.